Your favourite flip flops & sandals are available at Wild Orchid Salon & Spa! 1962: It all begins ~ The name Havaianas is Portuguese for Hawaiians. The first pair of Havaianas was born in 1962, based on the traditional Japanese sandal known as the Zori, whose soles are made of rice straw. The texture of Havaianas’ rubber soles are like rice grains, one of the many details that make Havaianas unmistakable. Wild Orchid Salon & Spa is excited to offer these beautiful all natural bath bombs! At The Bath Bomb Company we are proud to offer you the best Canadian handmade Bath Bombs available. We pride ourselves on superior quality by making each and every bath bomb by hand. This allows us to inspect each bath bomb as it is made to ensure perfection every time. We do not use a bath bomb press or machines to manufacture our bath bombs. Our bath bombs are made with love, by hand right here in Canada. These water colour changing bath bombs are bursting with fizzing bath-time fun! Our water colours are safe, non-toxic and will not stain the tub, towels or skin. Something new and fun for the kidlets . . . or a perfect baby shower gift! This collection of Children’s Bath Toys are great for all ages! Six assorted inspired bath squirters in a reusable gift bag. Pebble to Peak handcrafts and sources a variety of functional baby items. Founded in 2016 by two mothers, from Calgary, Alberta each with two little pebbles of their own, we’ve experienced first hand the growing pains of those most formative years, and we know how tough it can be on everyone. Our teething products give your little 'pebbles' a safe and textured material to chew on during those uncomfortable teething periods. Quinn & Clover is based out of Calgary, Alberta. Modern hair accessories and hand made felt florals using the best quality materials. Art & Soul Creative Co.
Art + Soul Creative Co. is a constantly growing collection of quirky greeting cards and whimsical art prints illustrated by owner and artist, Laura Uy. Each card is lovingly designed, printed, and packaged in Vancouver, Canada. Laura started creating at a young age when she would spend countless hours drawing (and eating) her favourite foods – like burgers, pizza, and ice-cream. This developed into a passion for illustrating cute and original characters, and eventually designing unique paper goods for her own stationery line. Many of her designs are inspired by her love for nature, animals, and food! We hope that you enjoy browsing through our colourful card collection and that you find a little bit of art that speaks to your soul! Candles can make any moment special. But how special is it really if we’re inconspicuously compromising the quality of the air we breathe just for the sake of creating a little ambiance? Infusing any room or outdoor space with the entrancing aroma and illuminating flicker of light from a beautiful candle shouldn’t have to be so risky. From Personal Passion to Eco-Friendly Mission ~ An artist at heart, Colleen DeSantis’ personal passion for eco-conscious living was what kindled her ambition to begin crafting handmade candles that not only support the health of the environment and people, but also emanate true brilliance and authentic charm. Her creative quest toward mastering both the art and science of producing some the most luxurious and eco-friendly candles was what led to the launch of her company based in Okotoks, Alberta, Canada. Over the past 12 years, Natura Soylights has evolved to become one of the leading candle companies to offer handcrafted artisan candles free of toxic and unsustainable ingredients without sacrificing scent quality. It’s more than what’s on the outside that counts. We believe in going the extra mile by sourcing the finest ingredients directly from nature to produce candles that are both beautiful and eco-friendly. Himalayan salt lamps are believed to have various health benefits. These lamps naturally produce negative ions, which may help improve indoor air quality, improve mood and reduce indoor allergens. Himalayan salt lamps are made from salt harvested from the Khewra Salt Mine in Pakistan. Salt sourced from this area is believed to be millions of years old, and although it’s very similar to table salt, the small amounts of minerals it contains give it a pink color. 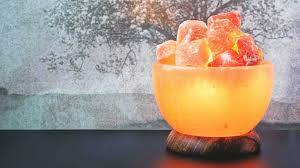 Himalayan salt lamps are said to change the charge of the surrounding air by producing ions that have health benefits. Founder Amy Hall is an art historian and ocean lover who was able to combine both her passions in Goldilocks Wraps. After volunteering with a shark conservation program in the South Pacific she was devastated by the ocean plastics problem globally. This compelled Amy to start her journey towards zero waste which, in turn, inspired her to start her ever growing business. Each reusable beeswax wrap is made individually by hand in small batches. From the washing and cutting of the cotton, to waxing piece by piece, to folding and packaging, we do it all ourselves. Each wrap is held to the highest of quality standards and infused with an extra dose of love. The average person uses over 2000 square feet of plastic every year, and while our main goal is to help reduce this to zero, one of the added bonuses of our wraps is that they will actually keep your food fresh for longer! (Yes, you heard that right!). They’re better for the environment, and better for your wallet by saving food: It’s a win-win.